It’s been about a week since the release of ARMS, Nintendo’s newest IP and its latest attempt to enter the world of competitive gaming. This past E3, Nintendo held tournaments for ARMS, Pokkén Tournament DX and Splatoon 2, complete with streams commentated by esports regulars. Nintendo also launched Nintendo Versus, an official (and shockingly plugged-in and un-corporate feeling) Twitter account dedicated to promoting Nintendo tournaments and players. This all comes after years of turbulent relationships with communities such as the Super Smash Bros. Melee crowd. However, seeing the success many other developers are having by supporting their own streamed tournaments has clearly led Nintendo to quickly make a change to its policy on esports. Switching gears back to ARMS: I’ve had the game for a week, and I’ve played it for a good number of hours already, both online and in a tournament setting. I thought I’d take some time to share my initial thoughts on the game’s immediate flaws and merits as a competitive game and as an esport. My plan is to point out the few things I feel are holding the game back from really shining as a major contender in the tournament fighter world. 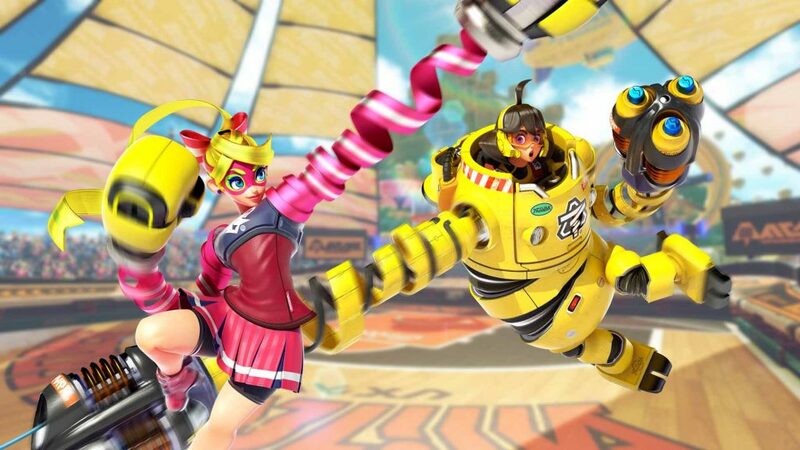 ARMS really is wonderful as a whole; Nintendo simply needs to make a few adjustments by reexamining certain areas of the game to make it more fitting for the genre. I’m not sure how the normal fighting game community, or FGC, will take to this game, mainly because it doesn’t have the typical game flow of a traditional fighter, like Street Fighter. ARMS doesn’t have what I would call “combos,” other than landing two or so punches in a row. 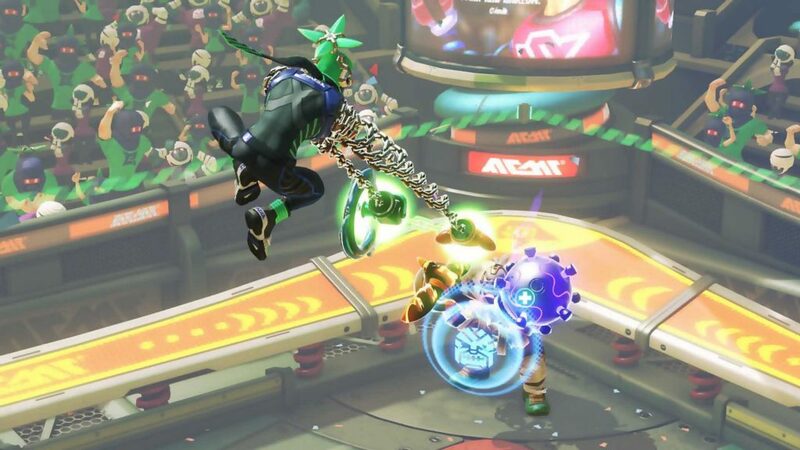 A match in ARMS is essentially nothing but “neutral,” a term meant to describe the moments in a fighting game when neither player has the upper hand. If one person has the other in a corner, they can perform setups and long combos, but when both players are in the middle of the screen, they have to think and act carefully, while also spacing out their attacks so they can punish any whiffed attacks their opponent throws. The entirety of ARMS is dedicated to spacing and waiting to see what the opponent does. It sometimes feels as if throwing a punch before the opponent does is a poor idea most of the time, as dodging is much, much faster than any of the punches. A lot of players enjoy the methodical pacing of the neutral game, but I feel many will miss being able to completely dominate their opponent in a quick manner. Remove Snake Park from Ranked, possibly from the game. It’s way too large and the boards remove any semblance of strategy. Timeouts are a huge issue in ARMS. As I said before, it’s often unwise to randomly throw out punches, so matches can go upwards of ten to 15 seconds with players just moving around looking for an opening — not attacking. This causes low damage output, meaning half of the matches I’ve played end with someone gaining a health lead and dodging around for the last ten seconds and winning by timeout. The tournament I played in used infinite time, which solved the issue, but Nintendo should think about other ways to fix the problem. I feel arm attack speed should either be increased or damage should be upped. It should be more rewarding to attack once in a while, rather than just waiting to punish the opponent. If Nintendo is serious about ARMS as a competitive game, it needs to fix the ARMS selection. There needs to be a local-only mode that’s meant for tournaments that unlocks all ARMS for all characters. The other option would be for tournaments to be held using each character’s default weapon set, but that provides little room for creativity, and leaves some characters at a distinct disadvantage. (Poor, poor Helix…) A code or separate mode that unlocks all ARMS locally is the right way to go to alleviate this issue. Local play needs a huge fix. There are two ways to play someone in the same room as you: split-screen on one TV or the Switch, and local wireless play between two consoles. 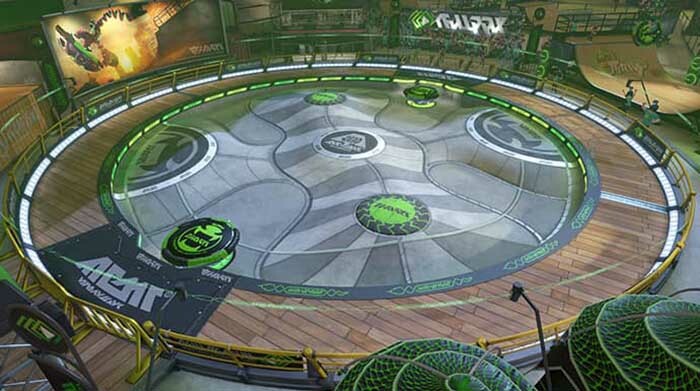 For a game with as much movement as ARMS, and with such a unique camera angle, most competitive players will prefer playing wirelessly, so they can have a screen to themselves. However, local wireless lobbies are bafflingly a mirror version of the online Party Mode. You get a few customization options, such as picking which modes to play and which stages to ban, but you don’t actually get to just pick the stage or even who you are playing against if there are more than two people in the lobby. Worst of all, matches in the wireless lobbies are only one round, just like Party Mode, and there’s no way to change this. The only way to just pick two characters, pick a stage, and play a standard two-out-of-three match is by using split-screen, which is the inferior way to play competitively. This is a huge and seemingly pointless design decision, and one that needs to be addressed sooner rather than later if Nintendo is serious about the competitive future of ARMS. No seriously, get rid of Snake Park, it’s awful. I’m not so sure ARMS will make a great esport for one major reason: It’s not the most fun game to spectate. I feel a lot of games have the same problem, but ARMS doesn’t have the flash that carries a lot of competitive games out there. Simply, it isn’t the most fast-paced fighting game. A lot of the viewability problems stem from the same issues that cause the timeout issue. I can’t imagine there being a high-intensity combo video for ARMS, or there being anything close to a Wombo Combo moment. This isn’t to say that ARMS isn’t a fun game to play competitively, but I don’t know how many people would tune in to a dedicated ARMS tournament stream over something with more draw like Smash Bros.
I’ve only pointed out certain aspects of the game I feel are flaws, but when it comes down to it, I truly believe ARMS could have a healthy competitive life. 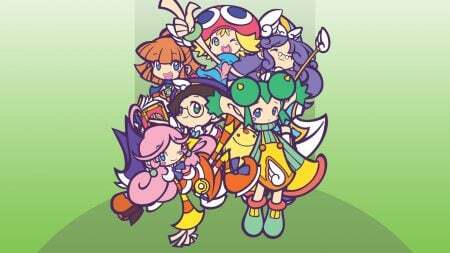 Overall, the game is a blast to play, and the cast is very balanced, for the most part — an element that makes the title shine. The characters are unique and there’s enough customization available to make for some interesting playstyles that differ from player to player. 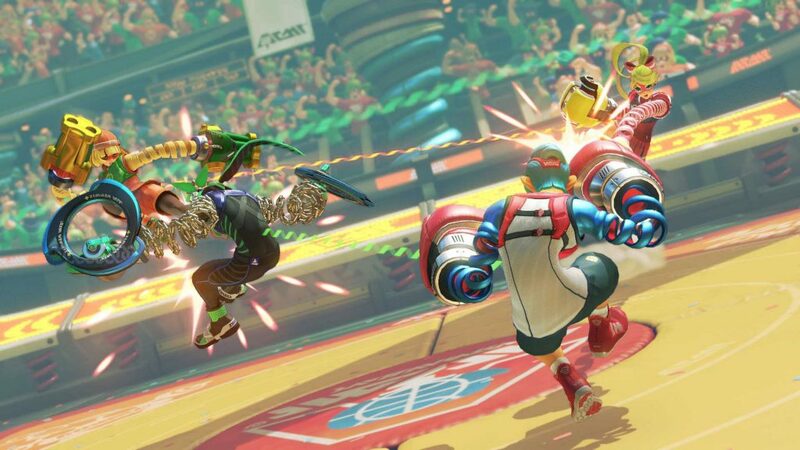 I believe that, with a few changes, Nintendo could have a successful tournament game on its hands, but it needs to examine what’s right and wrong with ARMS before moving on to the next project. Nintendo has made a lot of movement on the competitive gaming front in a very short amount of time, but old habits die hard. If the company wants to nourish the ARMS scene and have it flourish into a full-fledged esport, it needs to listen directly to players and actively update and revise the game to make it more player and spectator-friendly. All of the ingredients are there. 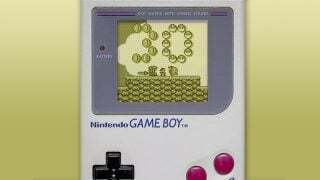 Nintendo has to be willing to rethink the recipe a little bit.